We work with the majority of the prosthetic components (liners, knees, feet, etc.) commercially available in the Australian market. 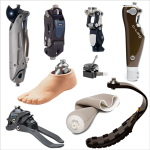 Any recommended choice of prosthetic component by our clinical staff is dictated only by our patient’s needs and requirements. We take into account all available options, and in most cases, offer several alternatives to meet each patient’s unique needs. 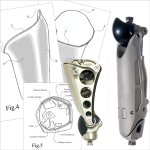 In accordance with our patient-centered approach, Queensland Prosthetics offers several unique, above the knee solutions, including innovative socket design and two self-adaptive, energy-independent knee units: the VGK-Go! and the VGK-S, whose functionalities are comparable to more expensive energy-dependent, electronic modules. The VGK-Go! is designed for medium and long trans femoral stumps. The VGK-S is specifically designed for short, above the knee amputees, and introduces a revolutionary, new approach in prosthetic treatment. More information about the VGK-GO and VGK-S units can be found at www.vgk.com.au. Comprehensive clinical assessment is an integral part of our work. This is an important aspect for both prosthetic treatment prescription, as well as results evaluation. In our practice, we conduct multi-plane observations, identify gait deviations and determine causes of deviations with computer gait analysis tools. 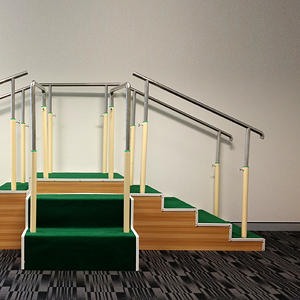 Because familiarisation and adaptation are critically important, we spend personal time with each patient to tailor individual education and training sessions, incorporating common or specialised activities, such as: walking/running (short/long distances on varying terrain, involving frequent turning, if necessary), negotiating of common obstacles (curbs, stairs, ramps, doors etc), working requirements (standing for long periods of time, load lifting, moving in limited spaces, walking backwards, performing repetitive motions), swimming, golfing, horseback riding, caring for children/others, participating in religious rituals, etc.